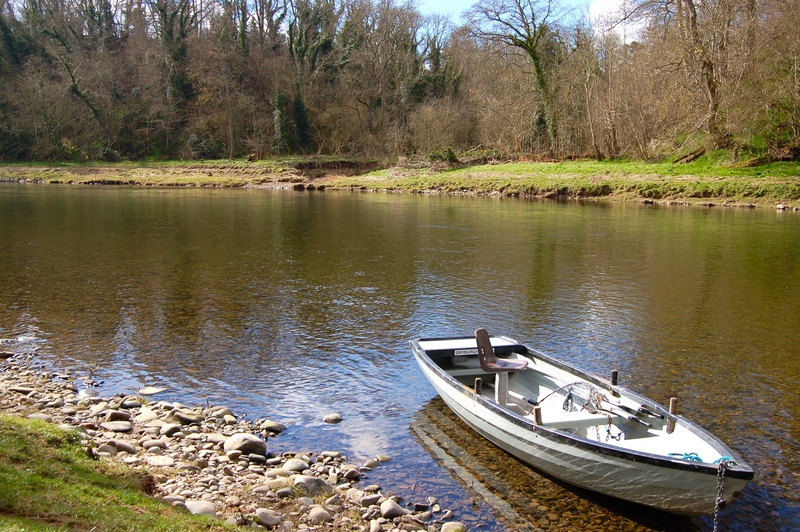 With the river height being at a summer level, and no sign of any significant amount of rainfall in the forecast for a while, Anglers will have to work hard to have any success with the difficult conditions that we have at the moment. Fortunately the water temperature is getting cooler ( around 47c), and this helps to bring fish on the takeand allows us to fish slightly bigger flies than we would normally in low water/ high water temps. Another benefit of cooler water temps, is if it is a bright sunny day, the fish don’t seem to be ” put down ” by it and are still willing to come to the fly. Successful anglers that I have spoken with recently are trying various tactics and sometimes “Thinking out the Box” and have had a number of fish to their own rod, whilst in the same session others have struggled. 1: Instead of using a 15ft rod, try a smaller lighter rod around 12-13ft or a switch rod which offers a lighter presentation when casting. 2: Try not to wade too deep, the less disturbance on the water the better. 3: Smaller, heavier flies fished at the streamier parts of the pool using type 6/7 tips around 10ft in length, to get the fly down to the fish, are worth a try. These may have to be worked around i.e figure eight so as not to snag the bottom. 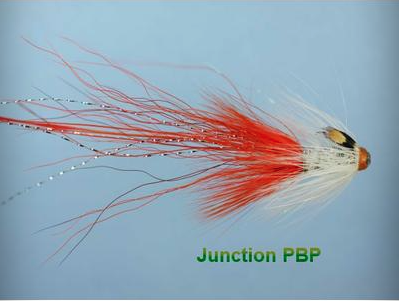 My party caught 12 salmon and a sea trout using this method on a middle beat last Wednesday. 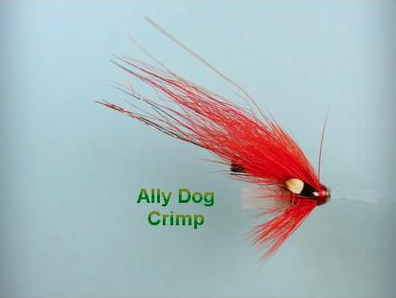 Successful flies for this method are Mini-Conehead Crimp Tubes in eith 8mm or 12mm. Red or Black Francis are by far the most popular, with Ally`s, Silver Stoat, Willie Gunn and Posh Tosh not far behind. 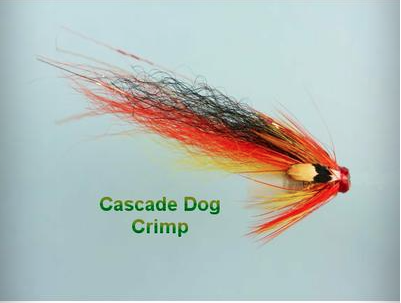 Also 1/2″ and 3/4″ Copper Tubes in patterns of Donegal Willie Gunn, Red or Black Francis, Red Devil, Ally`s, Cascade, Tosh – find flies. 4: Full floating lines with a long leader (around 12 to 15ft) and a small dressed fly around size 14 to 10, fished on slower parts of the pool, and hand lined back have also taken fish. If this has failed to tempt a fish, tye on a Sunray Shadow or a Monkey and fished square across and retrieved quickly may trigger a response. 5: Deeper runs and pools use a Wet Cell 2 fished deep with big Alluminium/ Copper tubes i.e Ally`s or Cascade, have been successful as fish are seeing something different. 6: Another successful method used on middle beats is “Dibbling” a tube fly through the white water at the head of a pools. Fishing a short line and casting/rolling the fly square across the current and holding the rod tip high, allows the fly to swim across the surface,whilst swinging the rod tip into your bank. This is a very exciting way to catch fish, as the takes are always visual and practically under your rod tip. I hope that this information is useful and that it gives you some different ideas to try, but always listen to your beat Ghillie, as he knows his beat well and will advise on the best methods to try.